This study aims to help commercial real estate professionals understand the way tenants and investors are using the internet to search for property and make lease and purchase decisions. 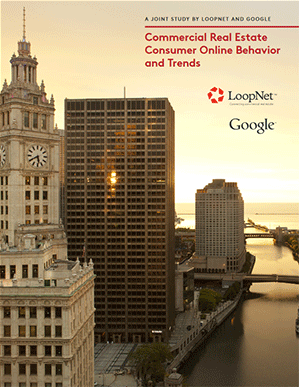 Market Connections conducted a blind, online survey to examine the online search behavior and sentiments of commercial tenants and investors. Google supplemented the survey results with internal data on commercial real estate search behavior, engagement and trends to provide a 360-degree view of commercial real estate search habits. The importance of online marketing and advertising for the commercial real estate industry.